Use the form below to email your quotation request directly to 5 local movers at the same time. Let professionals compete with each other based on the same requirements. Check how fast they will respond and how competitive they are? You can also give us a call on - 0800 612 2913 . If you prefer to use the form to get quotes please make sure that the contact details you have entered are correct otherwise we will not be able to provide you with quotes. 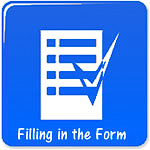 Please use the additional details box on our form to provide us with your requirements. The more information we will receive the more accurate quote you will get. How big is your office and how many office staff you will be relocating? Provide an inventory of all items to be moved including the number of linear meter of files. Are there any furniture that have to be dismantled? Do you requiremoving crates for your files, stationery or computers? Do you wan us to pack anything? What floor are you moving from and on what floor is your new office space? Do we have to use the stairs? Is there a lift? Can we use it? What size is it? Are there any parking restrictions at any location? Do you require a project management? 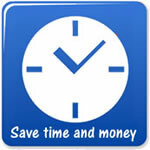 Are you planning to move during the office hours in the evening or over weekend? Why do not tray us? 1000 companies used our service to compare office moving costs and prices. Get almost instantoffice relocation quote at the very competitive local rates. You are in the right place to save time and money on your moving expenditure: office removal costs and office moving quotes. Find out how much it will cost to move your business. Low office removal rates, relocation prices. Free quote to relocate your business. Commercial move costs. If you use us you will see that the cost of moving your employees to a new location does not have to be expensive! Corporate office move quotes, costs and prices and moving rates!